I’m shaping the arch on my cello. As with drawing, I have a little problem where I have my face is right up against the workpiece. It’s always good to step back and get a macro reading of the shadows to judge where to scrape next. On cello this is harder to do at your desk unless you have extendable arms (which I unfortunately do not). Fortunately there is a very bright light (the sun) and a mirror (our front door) outside. 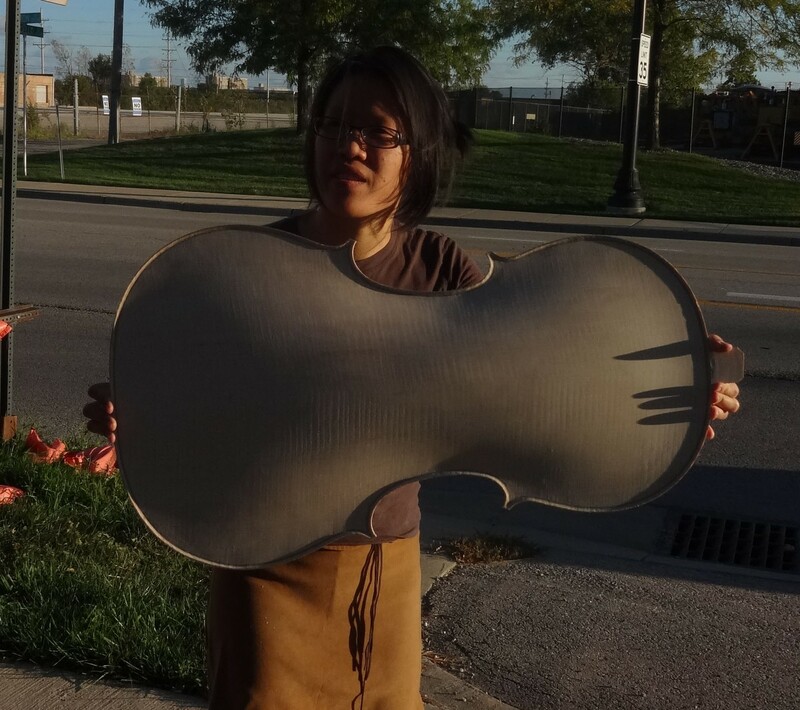 Everyone passing by on Oakton at 5:30pm today would have seen me holding my cello plate up to the school, Simba-style. I love the hard shadows from the sun.